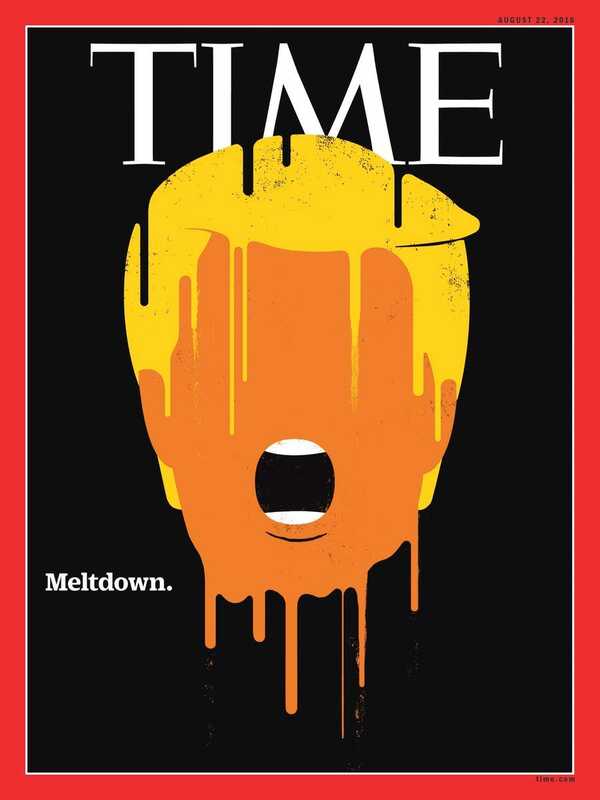 Donald Trump has had a terrible month. Multiple allegations of unwanted sexual advances toward women, poor debate performances, and the release of a 2005 tape in which he boasts about kissing and groping women have damaged the Republican nominee's standing in the polls. 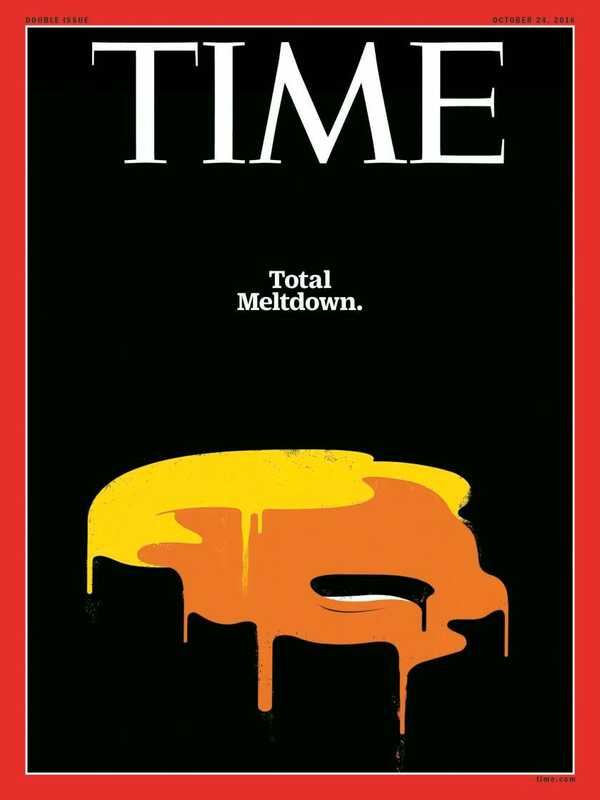 In response, Time Magazine updated its August cover to depict Trump in "total meltdown" in October.